‘Sustainability’ is a word you hear with increasing frequency these days. Most often, it’s in an environmental context, with sustainability defined as ‘avoidance of the depletion of natural resources in order to maintain an ecological balance’. The world is waking up to the fact that the conveniences and excesses of our modern world are not without consequence, and real action is necessary to reverse the wave of environmental damage that we’ve set in motion. A commitment to this cause is tangible on the UBC campus. 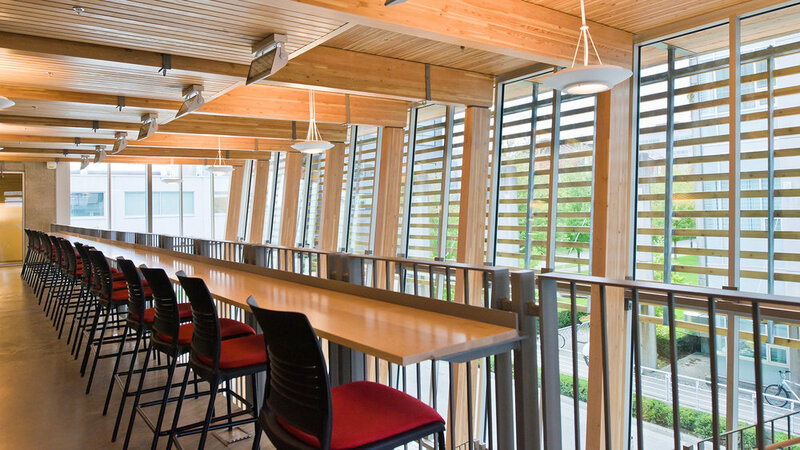 In fact, the building that houses our School of Public Policy and Global Affairs, CK Choi, is UBC’s flagship environmental building. It was designed with innovative features for reducing water and energy consumption—right down to the composting toilets. These everyday reminders ensure that sustainability is never far from our minds as students. Sustainability also has a second, broader definition: ‘the ability to be maintained at a certain rate or level’. This concept is also relevant to us as students. We were all attracted to the Masters of Public Policy and Global Affairs (MPPGA) program by its promise of sustainable learning. It’s one thing to learn concepts from a lecture or a book, but entirely another thing to apply them firsthand and learn by doing. The latter is truly sustainable education, because the outcomes become real muscle memory than can continue to grow. In recognition of this, the MPPGA experience is rich with opportunities for hands-on learning. Our cohort had one such experience this term in the course GPP 504: Policy Analysis and Evaluation, taught by Professor Cesi Cruz. This course is designed to introduce the tools and processes of policymaking and program evaluation that professionals use every day in government and NGO settings. Opportunities to test and refine these methods were integrated into the course through a term-long consulting project. With an overarching mandate to conduct a policy analysis for our client, focused on a sustainability-related policy problem, we broke off into working groups and dove in. This opportunity to apply each week’s course content in real time, with tangible outcomes, was learning of the most ‘sustainable’ kind. The products of our work promise to bring sustainability of the ecological kind to campus, too. The following are a selection of the work produced by our class for this project. Each working group wrote a full report on their findings, but also explored other creative methods of disseminating the knowledge they had gathered. Browse through for some examples of the results! Groups that worked with the Arts Undergraduate Society (AUS) were involved in improving the functionality of the Buchanan Building, a sprawling complex on campus that delivers classes to over 13,000 students in the Faculty of Arts. They mainly focused on the Meekison Arts' Student Space, introducing policies that would improve inventory and waste management. A group also worked on interior design, in preparation for a new Arts Student Centre in the future. Groups working with the Engineering Undergraduate Society (EUS) centered their efforts on implementing sustainable policies within the Engineering Student Centre, the main study and social hub for undergraduate engineering students. Tired of Cleaning Up After Your Colleagues? 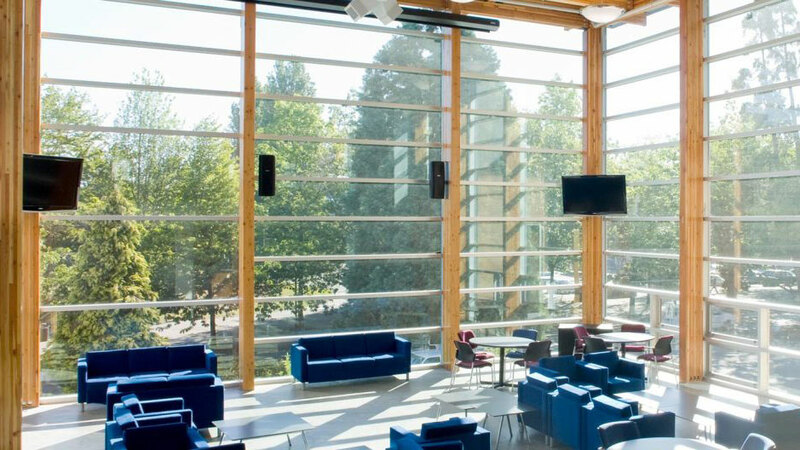 Groups that worked with the Science Undergraduate Society (SUS) focused on improving the functionality of the Abdul Ladha Science Student Centre, the central hub for over 8000 science students at UBC. The specific projects they worked on included storage and waste management, interior design, and sustainability campaigns.